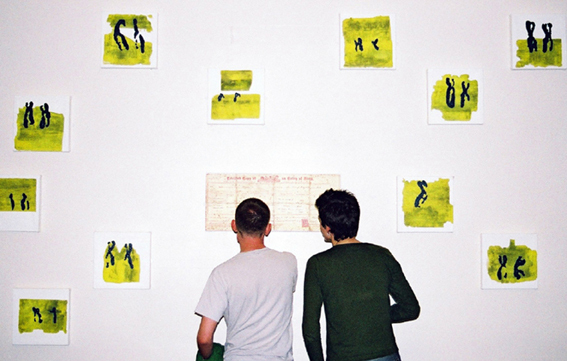 An installation of paintings. 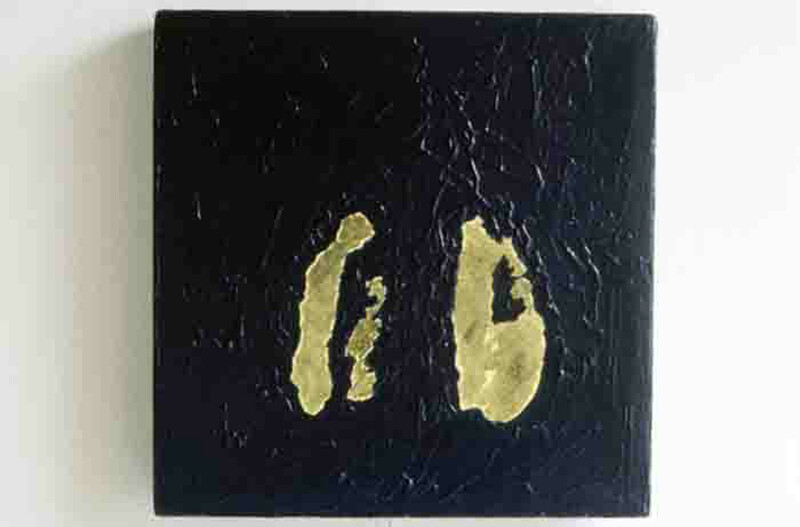 Acrylic on canvas and photographs, 1991- 4. The possession of my grandmother’s birth certificate had eventually provoked me into visiting Hull in an effort to uncover evidence of the family’s existence. Browsing through the 1881 census, I eventually discovered the Newman family living in a humble court dwelling in the Myton district, an immigrant area adjacent to the docks. From the census return I found that, as a young couple, Dora and Isaac Newman had emigrated from ‘Bushpole’ in the Russian Empire and settled in Hull. They had like many others fled the anti-Semitic pogroms that had swept Czarist Russia in the late 19th century. I have in my possession a torn hand-coloured photograph of Isaac, a thin pale-faced severe looking man with blonde hair and an aquiline nose. 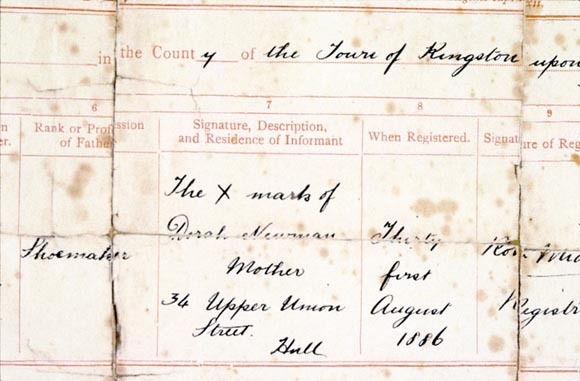 No existing image of Dora can be found, only the copy of the sign that she made on her daughter’s birth certificate, an X mark that appears in place of her signature. The birth certificate provides the architectural ‘heart’ of this artwork as well as its fulcrum and the chromosomes may bring to mind the traces of past communities, the social status of the refugee and the gendered sign of the mother situated outside of language. 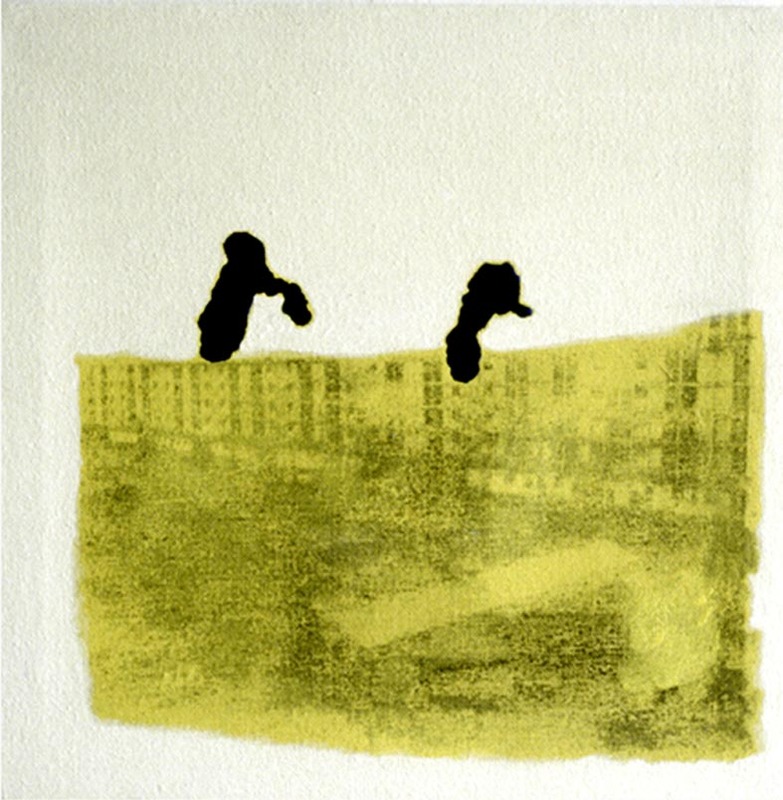 The twenty-four pairs of chromosomes are distributed across the small paintings along with the faint traces of the old immigrant area of Hull and other familial references. The X mark of Dora Newman provides then a means to explore aspects of inheritance and racial hygiene, the interface of the biological and social. 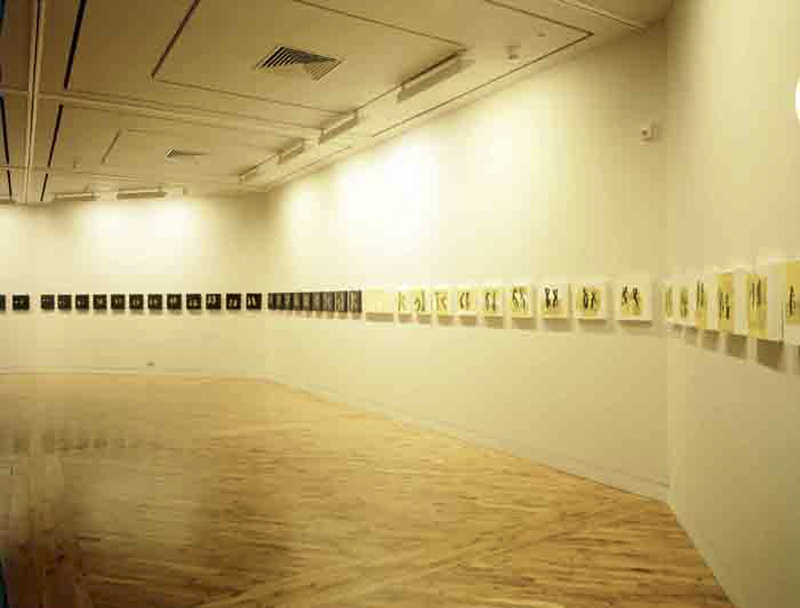 This work was first shown at the Ferens Art Gallery, Hull in 1995 as part of the exhibition, ‘Dangerous Places – Ponar’. 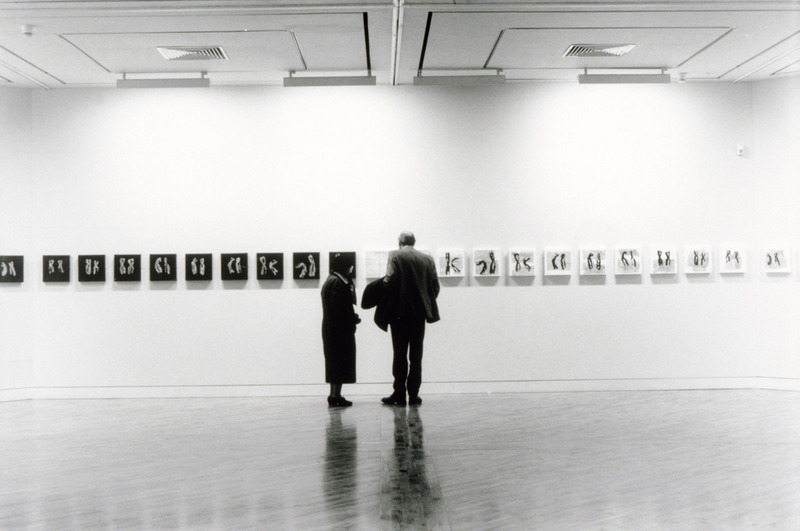 A revised version of ‘The X Mark of Dora Newman’ was conceived as a site-specific installation for the Board Room at the London School of Hygiene & Tropical Medicine – for the exhibition ‘Hygiene, the Art of Public Health’ in 2002.